March Madness is a time when even the most undedicated sports fans feel the need to bandwagon fan any and every basketball team. Filling out brackets evokes a sense of competitiveness and comraderie amongst friends, family and even co-workers. But for those who take their brackets very seriously, March Madness season can also become a bigger distraction than any other holiday or sporting event. According to new data from Office Pulse by Captivate, businesses face an almost unbelievable $1.6B in lost productivity during the tournament. The methodology for the study was to use the average American hourly rate of $10.65 per employee and average 4 hours lost per employee who planned to watch the games while at work. 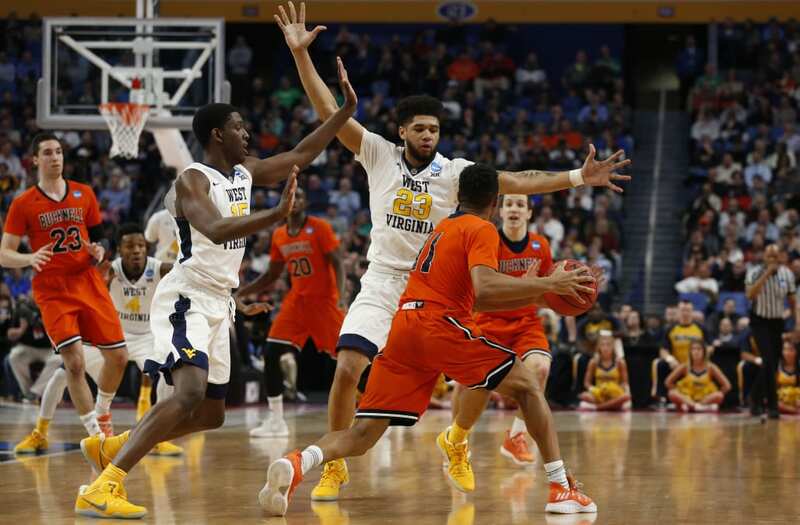 A hefty 53 percent of business professionals plan to watch the NCAA tournament this year, with 61 percent of those professionals planning to watch while at work. And if you can't seem to go anywhere in the office without someone throwing basketball-talk down your throat, you're not alone — Nearly 30 percent of business professionals said that they'll be taking place in a bracket. So no matter who you're rooting for (if you're rooting for anyone at all) it's safe to say loss of productivity is inevitable — But we'll just pretend that's because the extra competitive edge needed to succeed in March Madness is being channeled elsewhere.